and even at Very Low Temperatures. 5 cartridges and mixers from the following products. 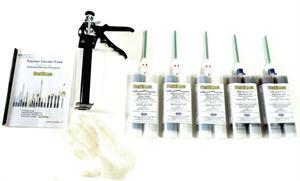 concrete surfaces and cracks, and to rebuild damaged control joints effectively and quickly. where load damage from steel wheels, hard urethane wheels and other stress factors are common. (wet on dry). Quickfix is not intended for use where movement is required. For moving control joints please refer to our flexible products such as SealBoss 6500 Polyurea. is slightly moisture sensitive and should be applied on dry surfaces. 6060 QuickFix offers the same physical properties at an extended 'open time' for large applications. remove all the dust from the cut out area. Make sure the area is dry. Vacuum or blow off cement dust. into the applied product. Then add more product & sand. Repeat the steps until reaching the finished grade. sand will reduce discoloration from UV Rays. Pea gravel can be used on very large spalls. and but not completely hard yet. Repair is now ready for traffic. conflict with regulations on the jobsite. Caution! Some cleaners are combustible. ventilation in volume and pattern in working area. Further protection: emergency showers and eyewash stations. D.I.Y. 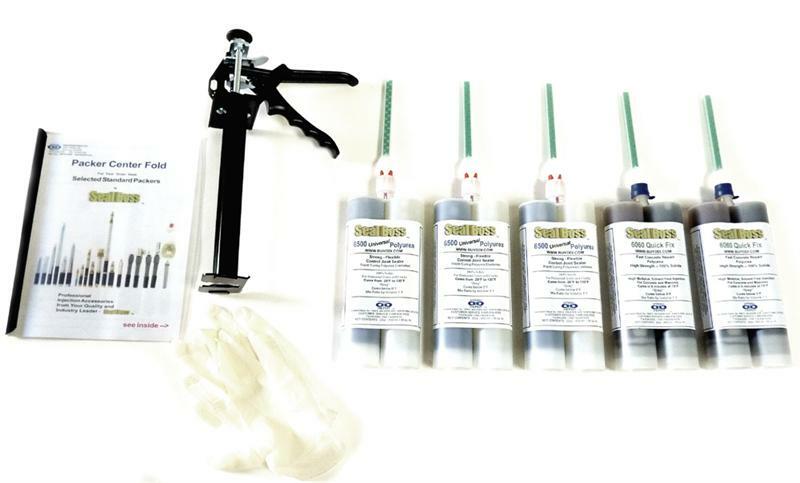 - 6060 - Fast Cure QuickFix 6060 Concrete Repair Kit - For "10 Minute" Repairs - by SealBoss (Flexible and High Strength Polyurea available) Call For Details.